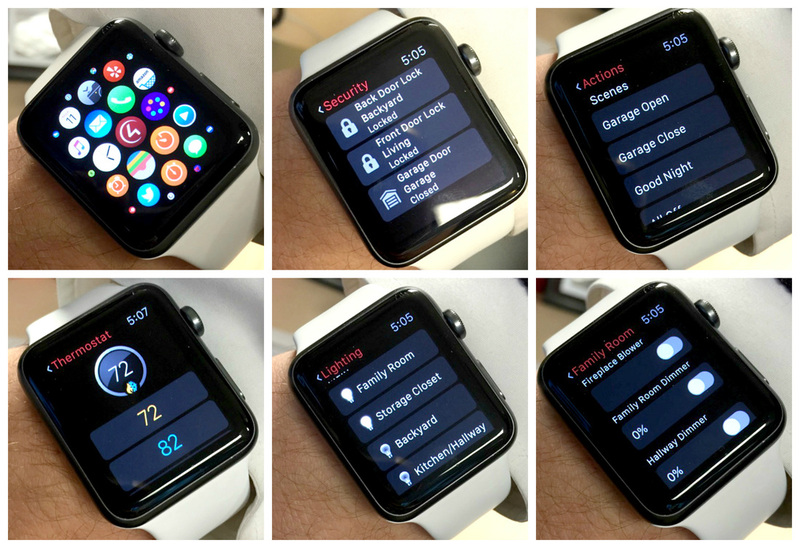 Our Apple Watch App allows you easy, single-button control of your most used shortcuts and scenes -- set a mood or make a quick change. Media Control - see what audio or video is playing in each room of your house, change the channel or the volume, add additional rooms, or simply turn things off. The new Roku driver also makes it easy to jump right to Netflix, Hulu or any of the other channels. Quick access to all of the thermostats in your home, adjust the temperature or apply presets. Control individual lights in any room of your house or activate lighting 'scenes' that control many lights all at once. 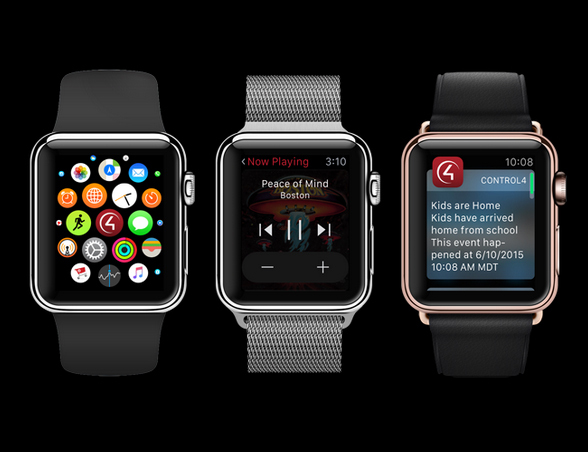 NOTE: The Control4 App for Apple Watch is included with the Control4 App for iPhone. It requires an update to Control4 OS 2.8.1 on your system controller and a 4Sight subscription. OS 2.8 also delivers new icons that more accurately represent entertainment devices in the Watch menu. If you have an Apple TV, you will see an Apple TV icon.